I received my October Birchbox a couple of days ago & thought I would share what I got & my thoughts on the products and this month's collaboration with goop, Gwyneth Paltrow's lifestyle blog. This month I succeeded in not peeking at my box on the website & waited for the surprise. Unfortunately, I was a little disappointed when I did open it up. There were so many great items shown in sneak peeks such as mascara, beauty blenders, Essie nail polish, and candles. Instead I received all one-time use products. Below are my first impressions of each sample I received this month. I am most excited about trying the Karuna Hydrating Treatment Mask. It is one of those masks that makes you look like a horror movie serial killer. I think it will a very luxurious item. A pack of four retails for $28, so at seven dollars each this was a great value to be in the box. I am though afraid I will keep saving it "for a special occasion" & end up not using it for a long time. I'll just have to set an at-home spa day! I have been wanting to try a dry shampoo, now that I have been washing my hair every other day. So I'm glad that I received Lulu Organics Lavender & Clary Sage Hair Powder in my Birchbox to try it out. It is one-time use packaging, but I think I might be able to get two uses if I save it in a plastic bag. The Naked Princess Naked Shine Luscious Lip Gloss in Barely Blush is gorgeous light pink colour. The gloss feels really creamy & moisturizing. It also smells like a cupcake and gives a nice sheer wash of colour. There is no stinging sensation, but I don't see any plumping effect either. I really like this lipgloss, I just wish this sample wasn't so, so, teeny-tiny (0.008 oz.) The container is even smaller than a perfume vial, and it has even less product in it since it has the applicator inside. I do like that it includes a doe-foot applicator, it makes using the sample really easy. Next I received two foil packets of the Embryolisse 24 Hour Miracle Cream. I actually have been looking into a new moisturizer and am excited to try this. I am also glad that they included two packets instead of just one. Like the mask, I hope I remember to try it out! I tend to hold on to the one time use things, waiting for the "right time." For my lifestyle extra, I received a LemonZest Luna bar. I don't mind receiving this for my extra (contrary to many people's opinions.) 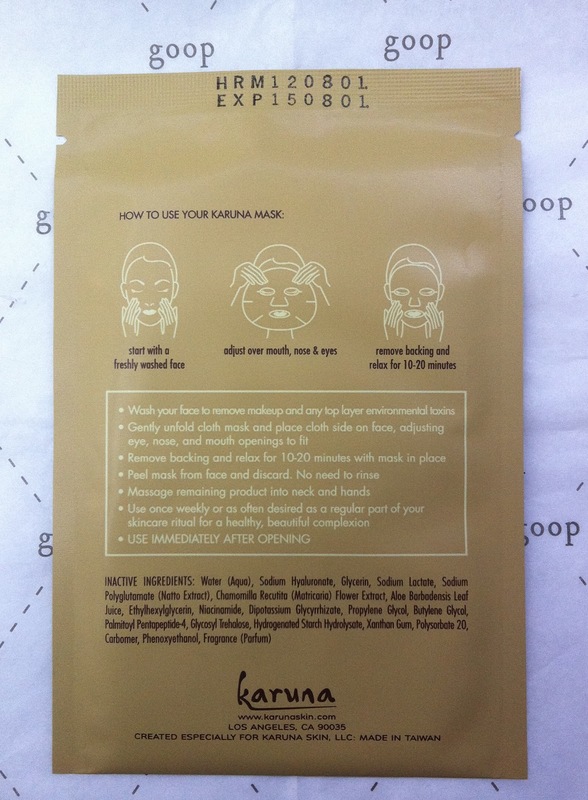 I like receiving lifestyle type products, the world of beauty is very connected with other aspects of your life. Also skin is highly affected by what you eat, stress, and what products you use. 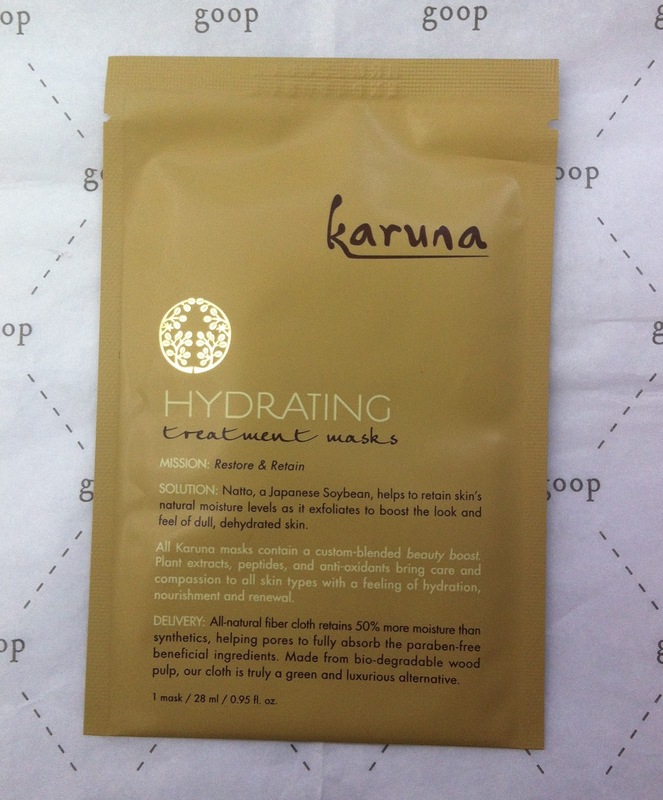 Overall, I am again excited to test these products out, especially the Karuna mask. I do think that many of my samples reflected the "goop" theme and are higher-end items. Some people were very unimpressed by the goop curated boxes and of this month of Birchbox in general. I don't mind receiving one-time use samples, but it is disappointing for everything to be a one-time use thing. I wish they could have balanced the boxes a little better so that everyone got a mix of deluxe sizes and foil packets. There were just so many things that were talked about this month that raised my expectations and unfortunately this box didn't quite meet them. I am still a big fan of Birchbox, and the service it provides. Their point system is awesome, and I have discovered a lot of great products! ~If you want to sign up to Birchbox, you can click here, it is $10 a month which includes shipping. It's a fun, easy way to test out new products. You also get "points" for referring people and reviewing your samples. For every 100 points you get $10 off at the Birchbox shop! So with over 4 items per box each month you can potentially get some nice things for free. 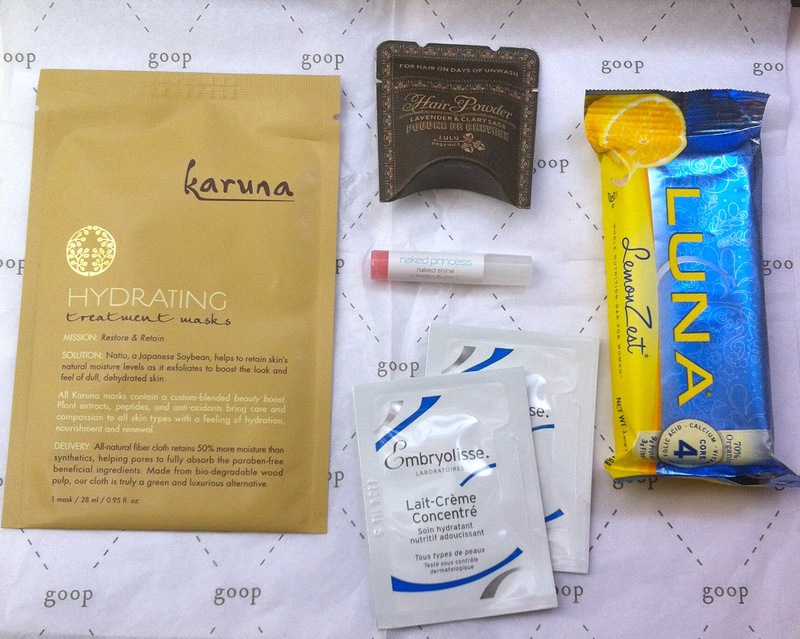 Did you get a goop box this month? What did you think of this collaboration?